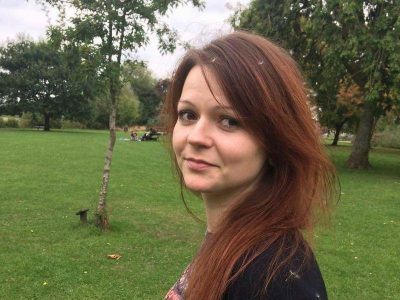 Only the Russians have allowed us to hear the actual voice of Yulia Skripal, in that recorded conversation with her cousin. So the one thing we know for certain is that, at the very first opportunity she had, she called back to her cousin in Russia to let her know what is going on. If you can recall, until the Russians released that phone call, the British authorities were still telling lies that Sergei was in a coma and Yulia herself in a serious condition. We do not know how Yulia got to make the call. Having myself been admitted unconscious to hospital on several occasions, each time when I came to I found my mobile phone in my bedside cabinet. Yulia’s mobile phone plainly had been removed from her and not returned. Nor had she been given an official one – she specifically told her cousin that she could not call her back on that phone as she had it temporarily. The British government could have given her one to keep on which she could be called back, had they wished to help her. The most probable explanation is that Yulia persuaded somebody else in the hospital to lend her a phone, without British officials realising. That would explain why the first instinct of the British state and its lackey media was to doubt the authenticity of the call. It would explain why she was able to contradict the official narrative on their health, and why she couldn’t get a return call. It would, more importantly, explain why her family has not been able to hear her voice since. Nor has anybody else. “I was discharged from Salisbury District Hospital on the 9th April 2018. I was treated there with obvious clinical expertise and with such kindness, that I have found I missed the staff immediately. “I have left my father in their care, and he is still seriously ill. I too am still suffering with the effects of the nerve agent used against us. “I find myself in a totally different life than the ordinary one I left just over a month ago, and I am seeking to come to terms with my prospects, whilst also recovering from this attack on me. There is also the very serious question of the language it is written in. Yulia Skripal lived part of her childhood in the UK and speaks good English. But the above statement is in a particular type of formal, official English of a high level which only comes from a certain kind of native speaker. “At the moment I do not wish to avail myself of their services” – wrote no native Russian speaker, ever. Not only is this incredibly cold given her first impulse was to phone her cousin, the language is just wrong. It is not the English Yulia would write and it is awkward to translate into Russian, thus not a natural translation from it. To put it plainly, as someone who has much experience of it, the English of the statement is precisely the English of an official in the UK security services and precisely not the English of somebody like Yulia Skripal or of a natural translation from Russian. Yulia is, of course, in protective custody “for her own safety”. At the very best, she is being psychologically force-fed the story about the evil Russian government attempting to poison her with the doorknob, and she is being kept totally isolated from any influence that may reinforce any doubts she feels as to that story. There are much worse alternatives involving threat or the safety of her father. But even at the most benevolent reading of the British authorities’ actions, Yulia Skripal is being kept incommunicado, and under duress.